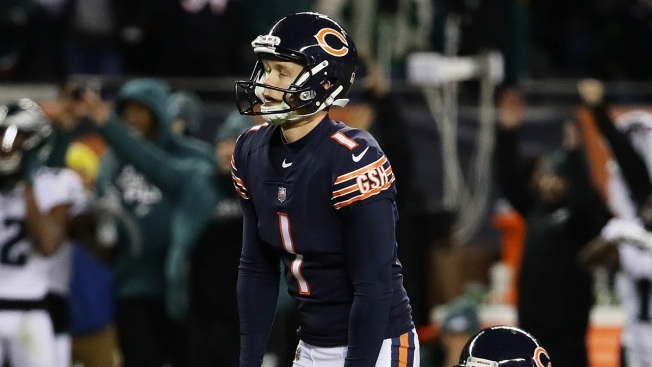 The Cody Parkey era in Chicago has reportedly come to an end, as the Bears will release the kicker when the new NFL league year begins. According to multiple reports, including from NFL Network’s Ian Rapoport, the Bears will release Parkey after the new league year begins on March 13. He will still get paid $3.5 million for the coming year in guaranteed money, and the Bears will have to carry $4 million in dead salary cap space when they sever ties. Parkey became infamous in the city when he hit the uprights on four kicks in a single game, but his legacy was forever cemented when his infamous “double doink” kick went off the upright and the crossbar before falling to the Soldier Field turf during the NFC Wild Card Game against the Philadelphia Eagles. Parkey had signed a four-year contract with the Bears prior to the season, but things did not pan out, and “a fresh start is welcomed by both parties,” according to Rapoport.